In Concert: Wild Honey and the Locusts (Cheri Sykes’ gospel/jazz combo), Sunday, April 7, 3:00pm. Favorite hymns and spirituals, styled in Stevie Wonder funk, jazz standard, latin salsa, Basie swing, pop ballad, and barn-burner black gospel. Expect some high energy inspiration! First Presbyterian Church of Hastings, 602 Vermillion Street. Free will offering. Hope to see you there! 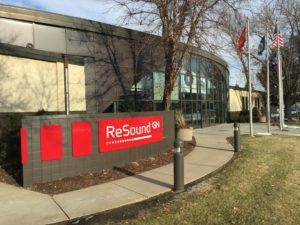 ReSound Company in Bloomington knows how to spread holiday cheer in the workplace! 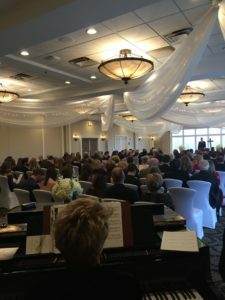 Played a beautiful ceremony plus jazz piano cocktail hour at the Minneapolis Golf Club yesterday. 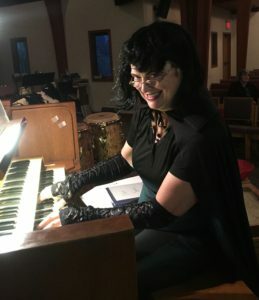 My second annual Spooky Music concert at Prince of Peace Lutheran Church in Roseville. Michael Jackson’s “Thriller,” “Alfred Hitchcock Theme,” Chopin “Funeral March”, and more. Fun! 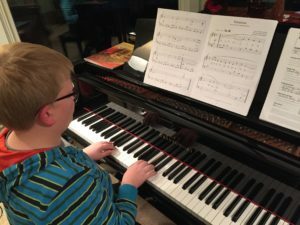 Are you a Newbie Piano Parent? These Tips are for you! 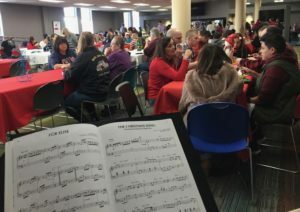 You, The Parent, are the Secret Weapon towards piano success! These blogs can help you achieve your full potential. As you probably know, consistent home practice is key to piano progress! How can you ensure successful practicing at home? 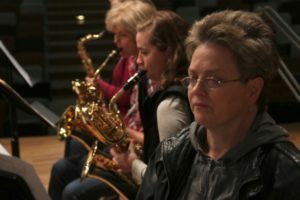 Set a regular practice schedule, 5-6 days a week.Beginning students start at 30 minutes/day. This can be splitinto two shorter sessions. Consistency is so important, especially at the beginning! Make sure the piano or keyboard is in a quiet, well-lit location, though not too isolated, but away from distractions. Especially if your student is under age 11, involve yourself in practice session. Sit on the bench and ask questions. Have your student teach you something! Show interest in what you hear. Children under age 11 cannot be expected to complete their lesson assignments without your guidance. Make sure they cover everything. Help them reach their goals. Practicing can feel solitary, requiring self-discipline. This is not easy for a child. If things get tough, consider incentives and rewards for meeting goals. Thanks for enabling your child’s musical education!